The use of internet is a big risk factor of cyberbullying. According to the Psychology Department of the University of Oviedo (Spain) the use of instant messaging (Whatsapp, Line, Telegram), having your own cell phone, online games and using Internet more than 3 hours a day, are big risk factors of suffering severe cyberbullying during the teenage years. Technological: Use of Internet, risk behaviour. Although the authors thought that parental control could be a protection against cyberbullying, the study reveals that it is usually fruitless, because teenagers spend most of their time with friends, and have access to other mobile devices without parental supervision. Regarding the educational variables, the survey points out that those who suffer bullying at school, are more likely to experience severe cyberbullying too. Often, victim and attacker go to the same school. Additionally, a bad academic performance also rises the risk of cyberbullying. 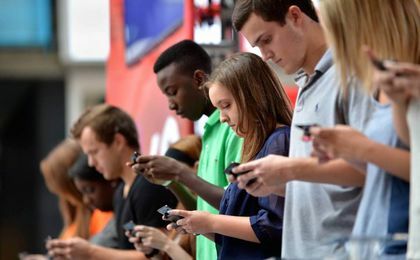 Parental control is usually fruitless, teenagers spend most of their time with friends. The technological variables reviewed in the survey show that the use of internet is a big risk factor of cyberbullying, specially if the teenager navigates for more than 3 hours and during the weekends. Besides, the instant messaging programs are more dangerous than social media. The attackers use them for verbal and visual aggressions, social exclusion, and identity theft. According to the authors of the study, values education and teaching teenagers social skills, are good ways to fight against cyberbullying, along with a good digital training about the advantages and risks of the electronic devices. They also state that a good communication between parents and children is more effective than parental control.